Sign up for the Sail Warehouse mailing list to be notified of specials and sent future print catalogs. 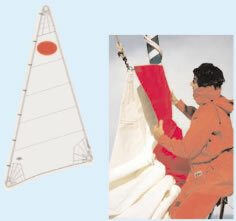 Discounts apply for any sail purchased with a Roller Furling System. •Results will yield both new and used inventory, (please refer to condition codes). If you do not see a used sail on the results it is because we don’t have one. Please don’t ask us to search for you. •Be sure to scroll right to see all sail details on the results page. 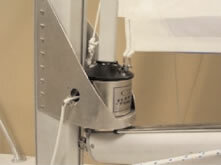 •Measuring instructions are included for your convenience on the measuring page if you need them. •We have only done the research on the boats we list above so please do not call or E-mail us asking for your dimensions. Follow the instructions on the measuring page then do your own search. We even suggest double checking your boat if it is listed in case there is a difference. See also FAQ. Click on the links below to see current sale items. To make it simple and convenient for you we have developed component packages to help set you up with your first cruising spinnaker. Package pricing includes everything* you need to set your boat up for a cruising spinnaker at a discount off the individual component cost.